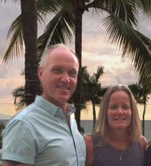 Bill and Terry Joseph are the owners of Boston Business Printing, Inc. Bill has over 35 years of industry experience – from commercial printing to digital printing to oversize printing. His knowledge and expertise of the business is profound and he works closely with clients to come up with cost effective and great looking promotions. Bill researches new equipment, designed to keep BBP on the cutting edge of printing technology. Terry brings over a decade of industry experience and works on the internal company operations handling all financial matters and contract negotioations. Bill and Terry also own LPI Printing, Inc., a 50 year old commercial printing firm located in Stoneham, Massachusetts. The staff at BBP is unparalleled. Our employees have decades of industry experience and are able to get quotes back to customers fast, act consultatively and turn clients’ jobs around in the fastest turnaround time possible.